Six years have passed since the World IPv6 Launch on 6 June 2012. Not only have we witnessed a change on a global level, we have seen history change for IPv6 in the UK too. From being a laggard to being part of the pack of Top 10 IPv6 Countries. Anniversaries are always a good opportunity for reflection and to look back, so let’s do it. In June 2012, according to Google IPv6 Statistics, the UK IPv6 traffic levels were at 0.08%, global IPv6 traffic levels were at 0.63%. Fast forward six years, in June 2018, Google sees 23.65% of user traffic on IPv6, while the UK internet population sends respectful 21.6%, closely following the global average; the biggest UK IPv6 peak we saw so far was 23% on 1 January 2018. In addition to Google and APNIC, Facebook also provides publicly accessible statistics on IPv6 adoption. The page shows a very similar pattern to the Google data and currently puts the UK at number seven (24%) in the IPv6 adoption table. What contributed to this significant change? What enabled our country to move from the tail to the Top 10 IPv6 countries globally, as per the data at APNIC Labs? Let’s go over the last 6 years. In 2012, there was minimal IPv6 deployment in the UK, with around 0.2% of Internet users having access to IPv6. This was largely from early deployment on Janet, the UK’s national research and education network, and the very first smaller ISPs who took the IPv6 plunge, at the forefront of which were Andrews and Arnold. While these few ISPs understood the rationale for IPv6 and were offering it to their customers, their contribution to the UK landscape as a whole was, sadly, relatively small. In April 2014, the UK IPv6 Council was founded with the aim to create a platform to let people share their experiences with IPv6 deployment. 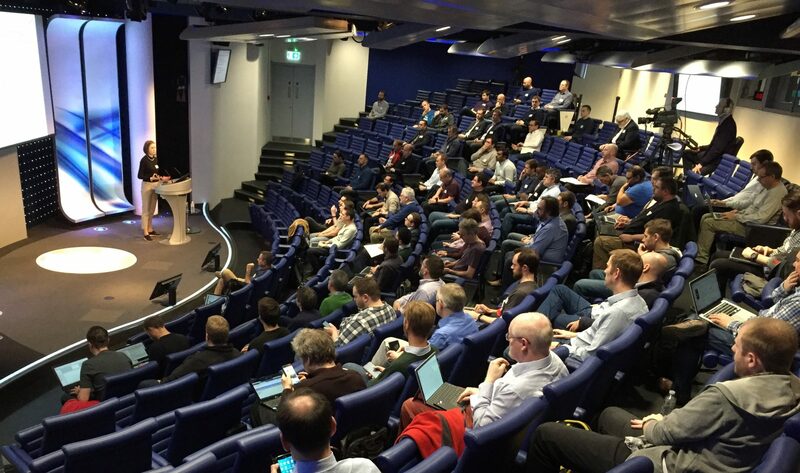 While there are other groups and organisations that focus on service provider community, the UK IPv6 Council is a place for everyone, from enterprises, service providers, academia and government, who wants to come and learn from others or help educate the UK IPv6 community. Since its foundation, the Council has grown to almost 600 members, has organised four annual meetings, eight roundtable sessions, two specific topic-focused workshops, and we are planning more. We believe that this platform helped encourage the positive change in attitude to IPv6 that was reflected in the growth of IPv6 deployment in the UK since then. Who really pushed the IPv6 number up? Sky announced that they were working on their IPv6 rollout at the first annual Council meeting in October 2014, at which time the UK IPv6 numbers were at just 0.29%. In August 2015, Sky started an internal employee trial and the UK traffic doubled to 0.6%. In Spring 2016, Sky started full-scale customer rollout and the UK IPv6 numbers soared to 15%. They now offer IPv6 to 98% of their subscribers. The next wave of UK IPv6 growth is coming from other ISPs who have started to pull their weight. Based on APNIC IPv6 statistics for AS2856, British Telecom has recently surpassed 3 million subscribers on IPv6 (~37% of the AS), and the number only continues to rise. Virgin Media is also known to be running internal trials and customer trials and we can’t wait for their product launch, hopefully starting later in 2018. The only remaining large UK broadband ISP which has not publicly stated any IPv6 plans is TalkTalk. In the mobile provider community, it is EE/BT that leads IPv6 deployment. They are the first UK mobile operator to offer mobile data connections as IPv6-only; they have enabled over 2M consumer customers with IPv6 and expect that growth to continue. Within their network, all EE 4G voice (Voice-over-WiFi, Voice-over-LTE) is over IPv6. By 2018, the rationale for IPv6 has also changed in an interesting way. From being a subject for the technical community, it is catching the attention of finance people in organisations all over the world. Since IANA allocated the last of the unused IPv4 address space in 2011, the price of that address space on the open market has slowly risen. That cost increases the financial drivers to move away from IPv4 and to explore IPv6-only deployment given IPv6 address space is freely available. Some interesting IPv4 price ranges are published by the IPv4 Market Group; an IPv4 shopping trip is only getting more expensive with time. In the UK, a good example of changing practices is Mythic Beasts, a hosting company who offers IPv6-only VPS platforms; IPv4 addresses are available to their customers, but as a chargeable extra, as Pete Stevens described during his talk at UKNOF 34 in 2016. We all know that finance departments don’t like chargeable extras. That’s the story of six years of IPv6 in the UK in a few paragraphs. Thanks to all the UK companies named above but also the unnamed, who have helped the UK progress to be one of the Top 10 IPv6 countries worldwide. It needs all of us to do our bit so that we continue to lead and to move forward. The last thing that we would like to mention today is that the industry closely watches IPv6 development in all countries. So even if you might think that your IPv6 work goes unnoticed, be sure that is not the case. The UK IPv6 growth has been recognised on an international level; since 2016, ten companies have received a prestigious Jim Bound Award for being an IPv6 World Leader. 2018 – We can already see new names who will qualify for the award; the new World IPv6 Leaders will be announced at the annual UK IPv6 Council meeting at the end of 2018. Your company could also be on that list. It needs to send 20% or more of its network traffic on IPv6. Would you care to join the ranks of the World IPv6 Leaders? If so, let’s see deployment now!